M12B Jerusalem: History, Prophets, Fall & Restoration | GOD Who Are You? AND Who Am I? Moses guided the children of Israel, with God’s directions, to build a tabernacle tent for worship while they were in the wilderness. It was carried everywhere they traveled. After the nation of Israel was established, King David passed on to his son Solomon the mandate to build the temple for which he made plans. After Solomon finished building the temple and the royal palace in Jerusalem, the LORD appeared to him and said, “I have heard the prayer and plea you have made before me; I have consecrated this temple, which you have built, by putting my Name there forever. My eyes and my heart will always be there” (1 Kings 9:3). The LORD also reiterated to King Solomon that if he would continue to walk in His ways, there should never fail to be a man on the throne of Israel, but if his descendants turned away from Him, all would be lost and Israel would become an object of ridicule and scorn. 445-332 Jerusalem under Persian (Iran) control 445 to 332 B.C. Daniels’ prayer says it well, “Under the whole heaven nothing has ever been done like what has been done to Jerusalem” (Dan. 9:12). This is a city that has been besieged approximately forty different times and destroyed (at least) partially on thirty-two different occasions. The rulership of Jerusalem has changed hands about twenty-six times. Since 1948 Jerusalem has experienced four wars. 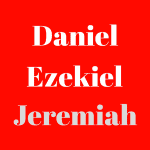 Jeremiah was probably a mentor to Ezekiel who was taken to Babylon [Baghdad, Iraq] in the second invasion—eight years after Daniel was taken in the first invasion. Daniel, belonging to a family of high rank, was in the palace at Babylon the same time Ezekiel was in the country about fifty miles away. Ezekiel possibly visited Daniel. Ezekiel’s purpose in Babylon was to be God’s voice to remind the people of the reason all these calamities happened. The phrase, “The word of the Lord came unto me,” occurs forty-nine times in Ezekiel. He was the prophet of visions: many for the Jewish people today; many for Christians today. He lived among the captives, so his mission was one on one—as a watchman warning them. 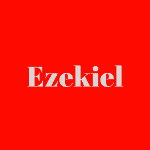 Ezekiel’s very life was God’s sign of what was happening to Jerusalem. His wife died the day the siege of Jerusalem began. One can imagine Ezekiel would have been able to reveal God’s broken heart to the people because of the great love he and God had for their wives—God’s relationship with Israel being that of a marriage. The northern kingdom of Israel had been taken captive by the Assyrians 120 years earlier, and now Jerusalem, the southern kingdom of Judah, was dead. Jeremiah, Daniel, and Ezekiel were all very young men when God called them to voice His words to His people before, during and after this crisis. The captivity lasted seventy years as foretold by Jeremiah. At the end, the people did turn back to God, but not during it. It was Ezra and Nehemiah who would lead in that spiritual and physical reconstruction effort. And the LORD says, “I will make them one nation in the land, on the mountains of Israel. There will be one king over all of them and they will never again be two nations or be divided into two kingdoms” (Eze. 37:22). That King will be Jesus Christ when He returns to the earth at the end of the seven-year tribulation period. www.templemount.org/tempprep.html, “Preparations for a Third Jewish Temple,” edited by Lambert Dolphin from various sources, pg. 2, accessed 1/16/08.